Personally this is a very special recipe for me, because it is from my mother. 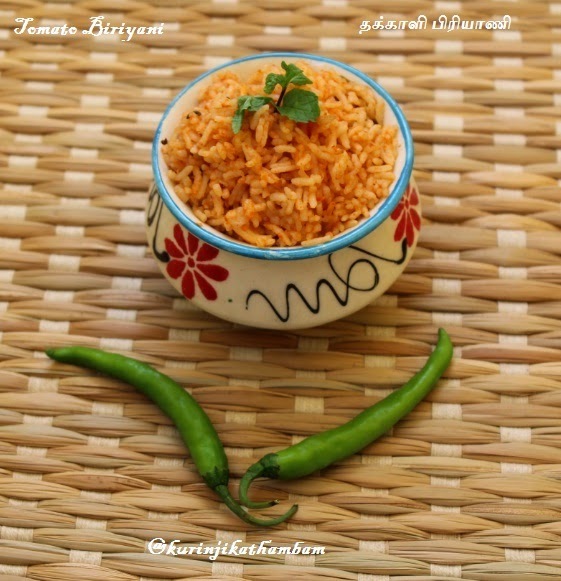 This easy to make biriyani can make simple family events memorable. 2. 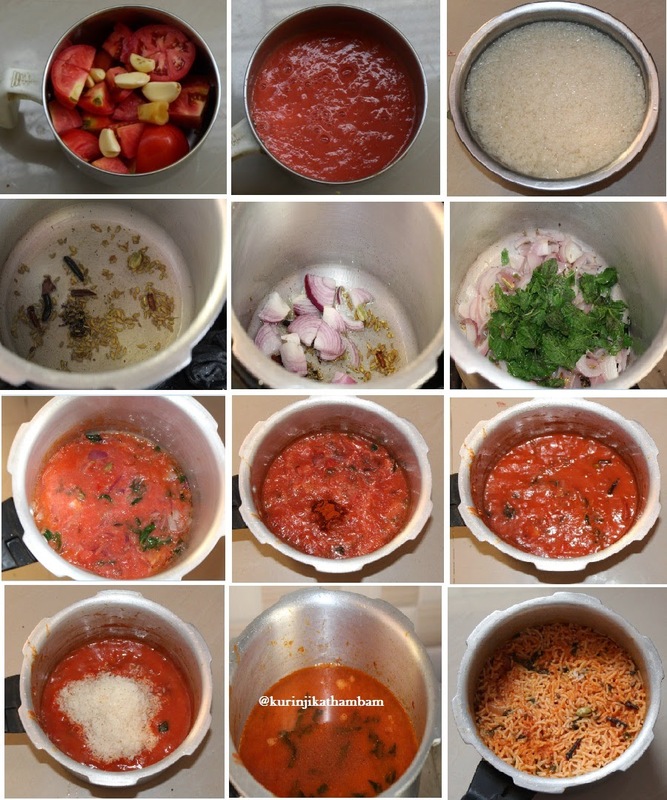 Wash the tomatoes and grind them into a fine paste with ginger and garlic. Do not add water to make a paste. Keep it aside. ( use ginger-garlic paste also). 3. Heat the oil a heavy bottomed pan or pressure cooker, temper with fennel seeds, cinnamon, cloves, cardamom, kalpasi and Marathi moggu. 4. Then add chopped onion and fry till the onion becomes translucent. 5. Now add the clean and washed mint leaves, fry till the raw smell goes off. 6. Add the tomato puree, salt and red chilli powder. Cook till the oil separates from the mixture. 7. At this stage, add the soaked rice and water. Mix them well. Allow it to cook till the steam has come out. Then put the cooker whistle and again cook for 15 mins in full sim. Then switch off the flame and allow it to cool down for 5 mins. 8. Then transfer it into broad vessel or store it in a hot box. 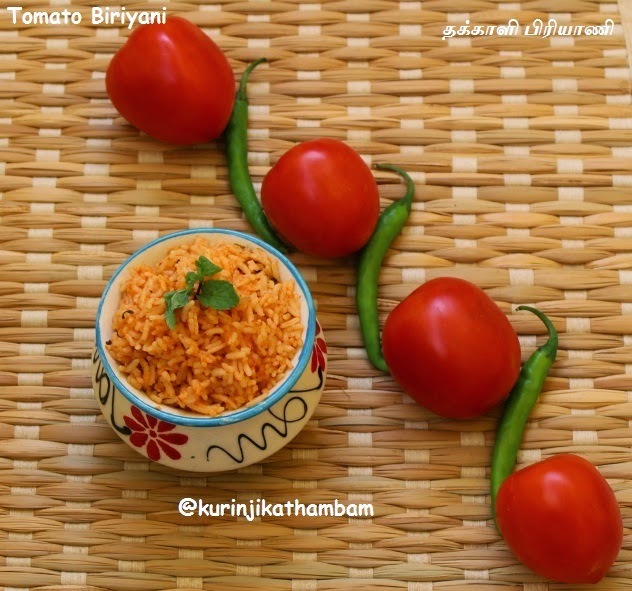 Yummy and tasty tomato biriyani is ready to serve. Serve it with raitha. yummy rice.. its one of my fav rice.. Very gud presenteation.Love to read ur blog. Yummy biriyani. Just loved it. 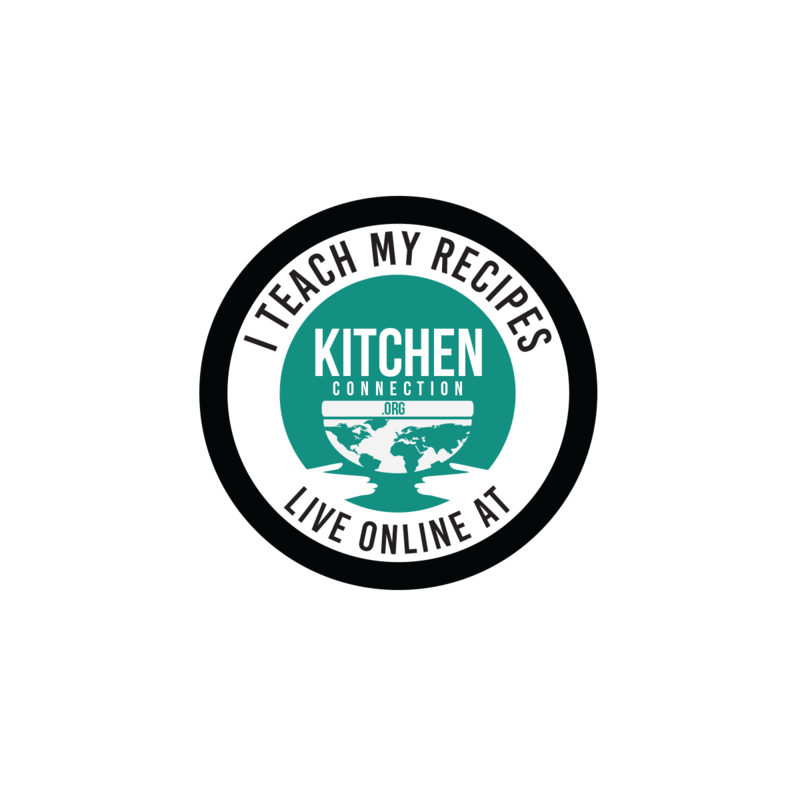 Thank u for sharing the recipe I am definitely gonna try this out and will share the feedback with u,.